The Get Eggcited video slot machines provides a lot including an exciting theme, big bonuses, and great graphics. 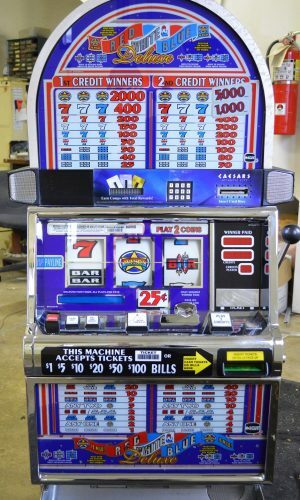 As a video machine, Get Eggcited slot machine plays sound bites and clips that add to the overall experience. This 5-reel, 20-line theme features familiar music and entertaining bonus game play. The Red Rooster symbol matches any other except the scatter. The Golden Egg symbol activates the bonus round, while also functioning as a scatter pay. This is the perfect addition for any gamer’s collection. Buy one today to add to your home or casino!